Brose Baskets Bamberg pulled off another big home victory in its hunt to reach the Turkish Airlines Euroleague Playoffs by finally beating CSKA Moscow 91-83 to increase the intrigue in Group F. Nicolo Melli led the way for Bamberg with 17 points as the German champions knocked off CSKA for the first time after losing their previous 11 matchups. 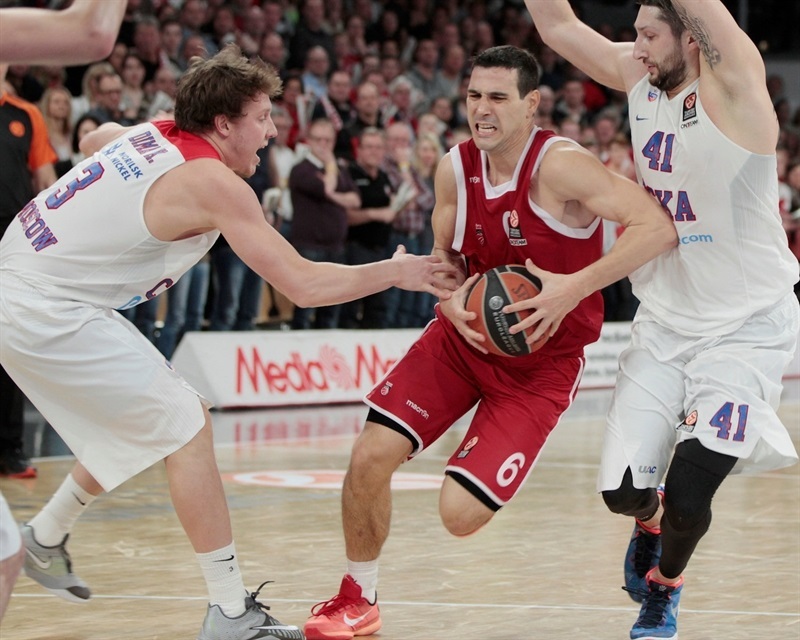 Nikos Zisis and Leon Radosevic both added 14 points as Bamberg improved its record to 6-6 after defeating Olympiacos Piraeus and Khimki Moscow Region the previous two games at home. 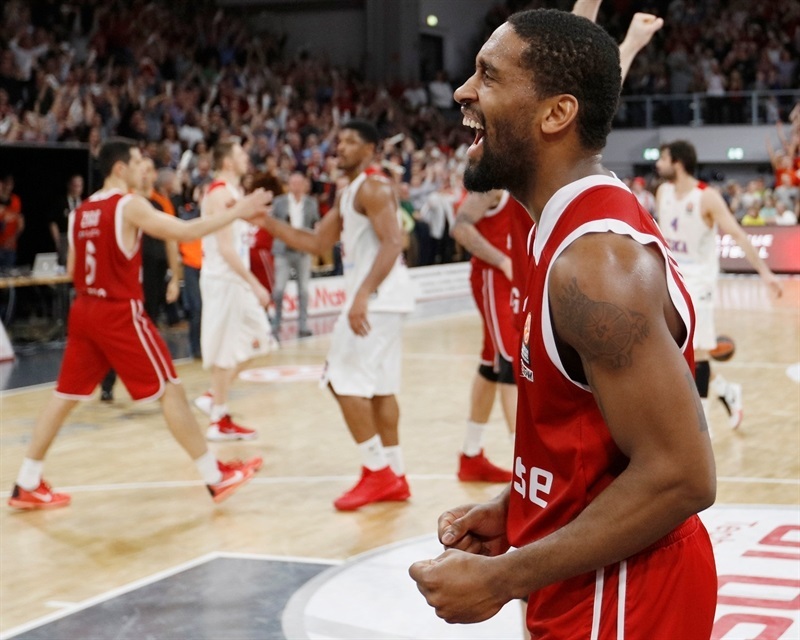 Brad Wanamaker chipped in 11 points and 6 assists and Janis Strelnieks had 10 points and 6 assists in the victory. 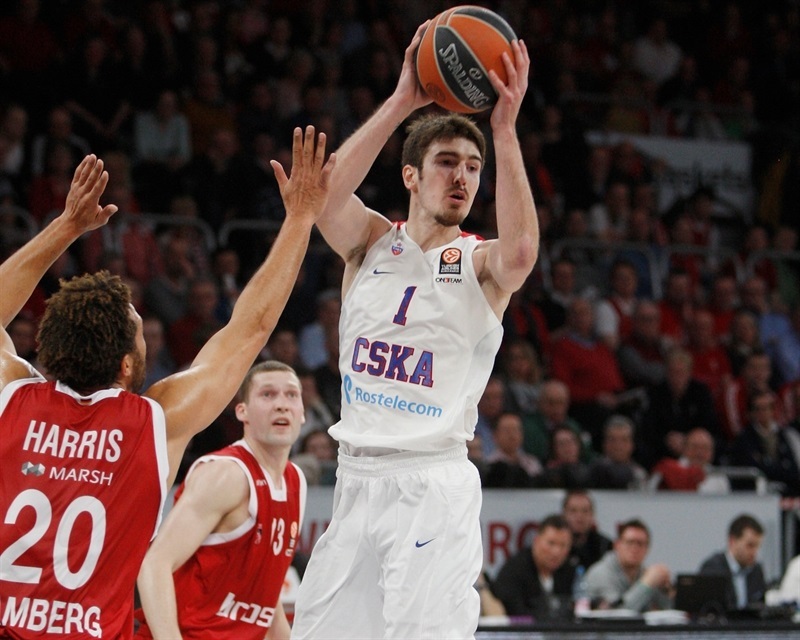 CSKA dropped to 8-4 and missed a chance to secure home-court advantage in the playoffs despite 21 points from Nando De Colo. Milos Teodosic scored 19 points in the loss and Andrey Vorontsevich added 17 points. Bamberg coach Andrea Trinchieri made two changes to the starting lineup with Aleksej Nikolic and Leon Radosevic starting for Miller and Elias Harris alongside Zisis, Brad Wanamaker and Melli. 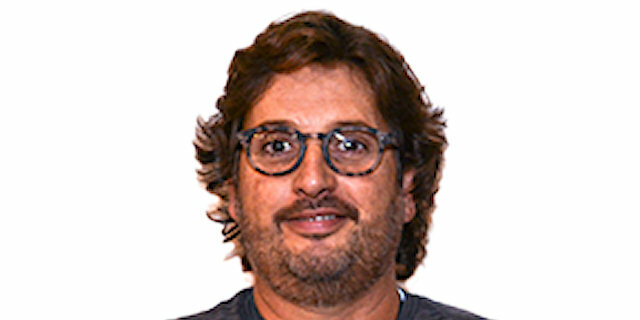 CKSA boss Dimitris Itoudis kept the same first five with De Colo, Aaron Jackson, Nikita Kurbanov, Vorontsevich and Kyle Hines. Vorontsevich started the game with a three-pointer from the right wing with Melli converting on Bamberg’s first possession with a dunk and then giving the hosts their first lead, 5-3, with a triple from the left corner. Bamberg added another basket from Radosevic before Jackson stopped the run with a tough layup. But Zisis’s three-point play increased the gap to 5 points. CSKA knotted the game at 10-10 on Kurbanov’s three-pointer from the left corner and 4 straight points from De Colo put the guests up 12-14. CSKA was up 14-16 when Melli nailed a triple from the left corner. Cory Higgins committed a technical foul at the same time, resulting in a Strelniek free throw. A Daniel Theis dunk on the ensuing possession put Bamberg up 20-16. Teodosic came off the bench and answered with a three to cut the lead to 1 point. 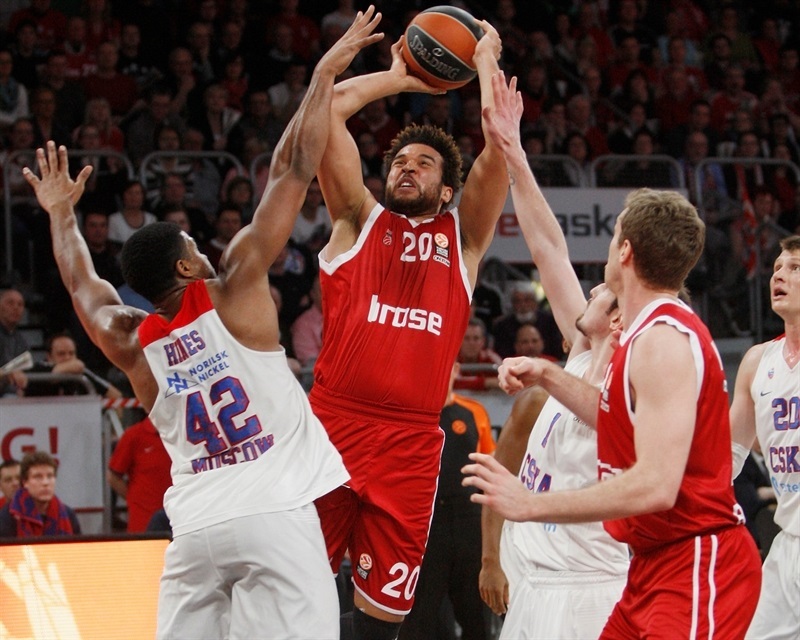 Bamberg led 22-20 after 10 minutes. Teodosic opened the quarter with 3 free throws and Higgins’s 2 foul shots put CSKA up 22-25. Bamberg failed to convert on its first four possessions of the quarter before Strelnieks’s layup at the 7:28 minute mark. Harris added a dunk to nose the hosts ahead 26-25, but Vorontsevich nailed a pair of threes from the right wing for a 28-31 CSKA advantage. Bamberg punched right back with a Nikolic layup and a Zisis triple to put the hosts up 33-31, after which CSKA coach Itoudis called a timeout. 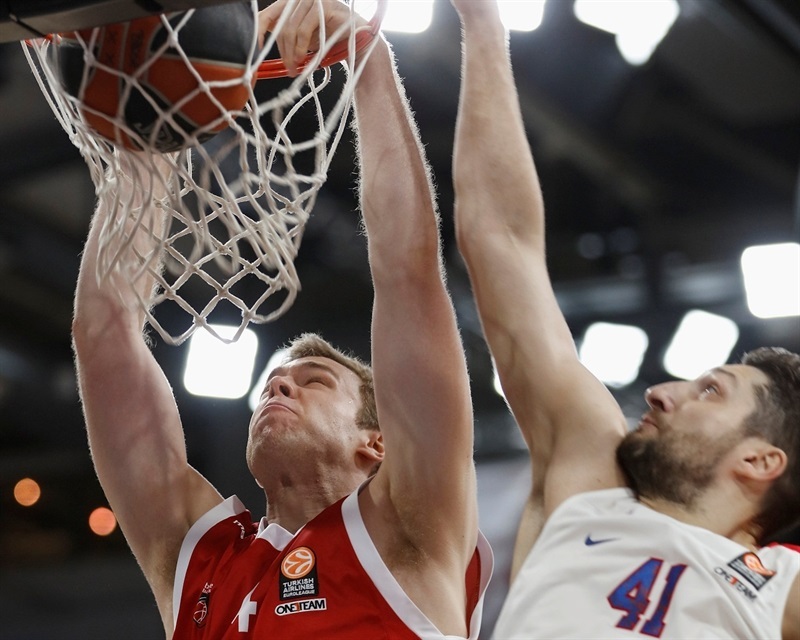 The lead was still 2 points when Radosevic was called for an unsportsmanlike foul and technical and Bamberg coach Trinchieri was also hit with a technical foul. Teodosic missed his 2 free throws, but De Colo converted twice from the line to even the game at 35-35. Bamberg remained composed with Zisis hitting from long range and Strelnieks completing a three-point play as the hosts took their biggest lead 43-35. Hines stopped the run with a dunk and De Colo free throws set the halftime score at 43-39. Wanamaker opened the second half with a driving layup before Vorontsevich nailed a three from the left wing as CSKA came within 45-42. Zisis punched right back with a three-pointer on the next possession and Bamberg pushed the lead to 53-46 on a Melli jumper and Wanamaker triple. Harris made 2 free throws for a 55-48 lead, but Wanamaker picked up his fourth foul with an offensive foul with 5:16 minutes left in the third. 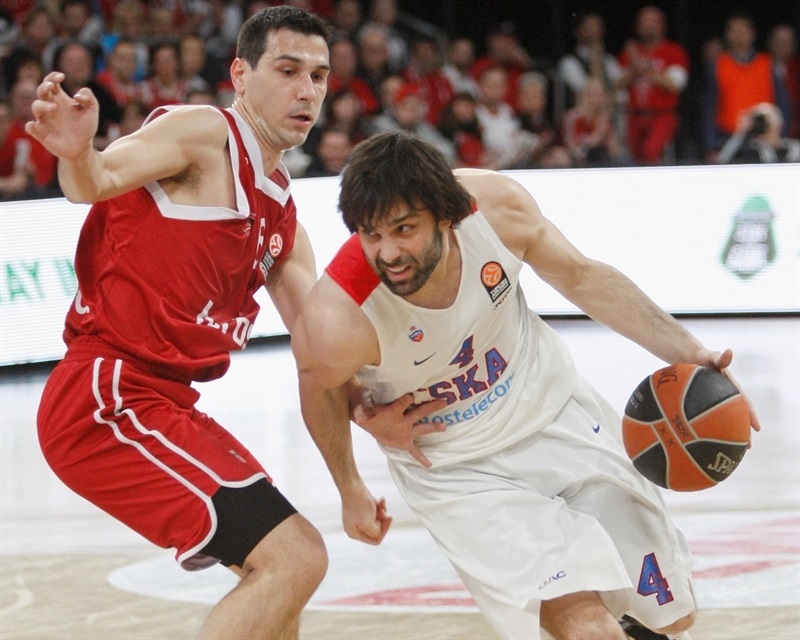 Teodosic converted a three-point play to bring CSKA within 55-51. 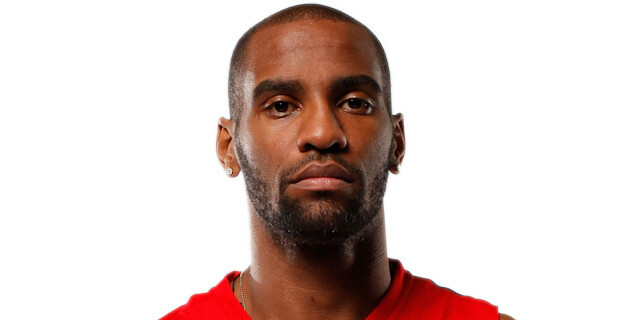 Bamberg was not fazed with Zisis and Radosevic connecting on an alley-oop and Nikolic nailing a three-pointer to put Bamberg ahead 62-55. 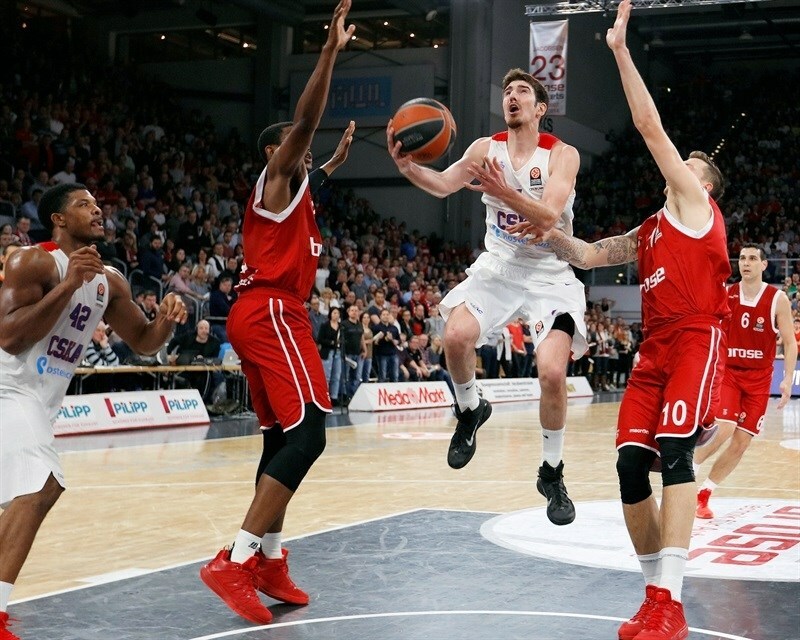 CSKA continued to throw all it could at Bamberg with De Colo hitting a jumper and Vorontsevich draining a three-pointer before Teodosic knocked down a triple with 3 seconds left to bring CSKA within 68-67. Pavel Korobkov’s basket to start the quarter put CSKA ahead, but he missed the bonus free throw. 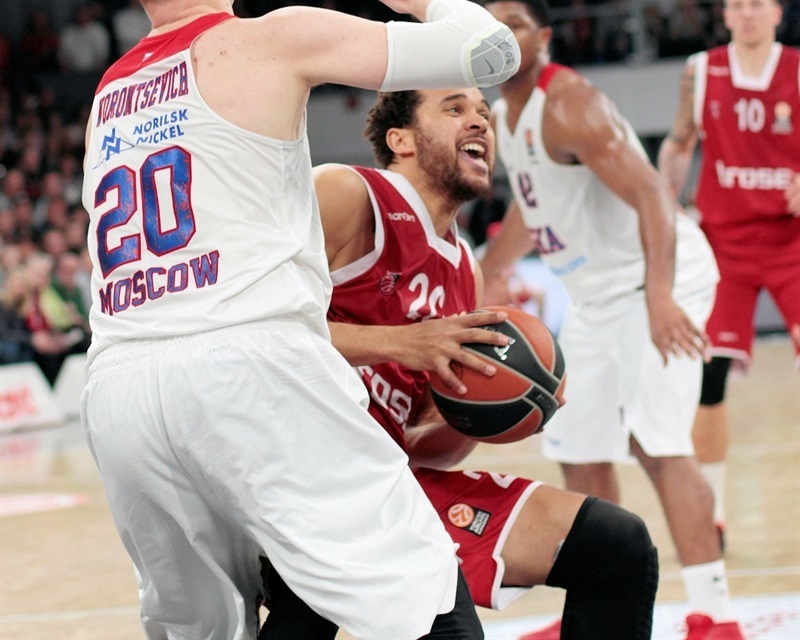 After Wanamaker hit 2 free throws, CSKA was back up 70-72 on a Teodosic three-pointer. 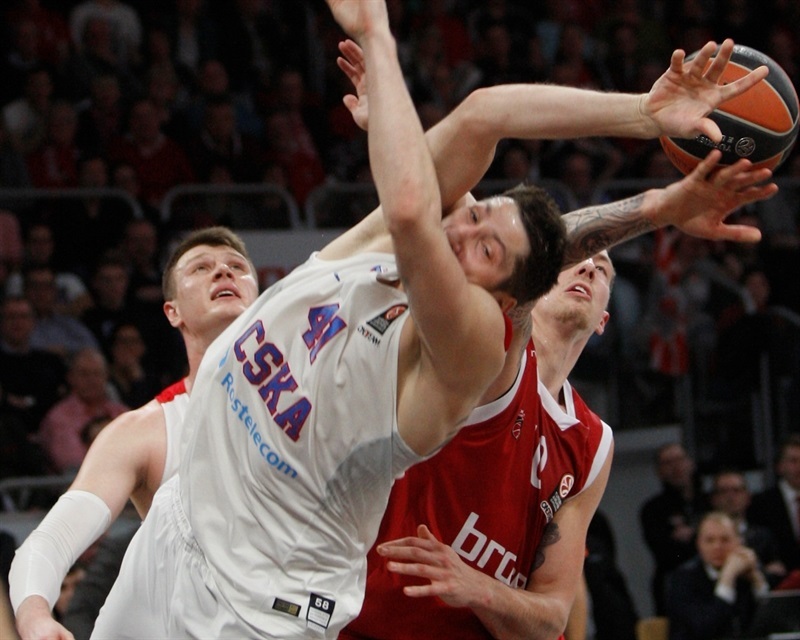 Bamberg reclaimed the lead after a pair of Miller jumpers, but CSKA was back in front on a De Colo triple. 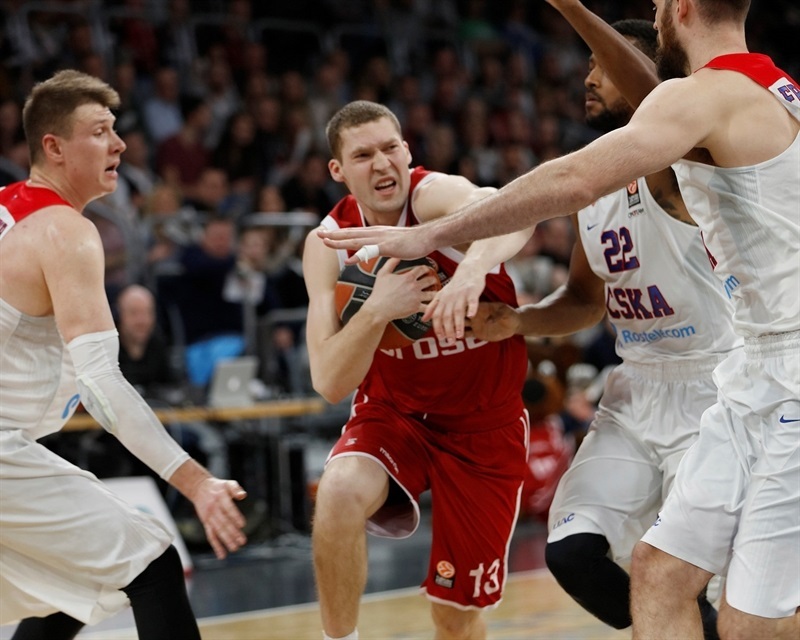 Miller hit from long range on the next possession and Bamberg put CSKA in the bonus with six minutes to play as Melli split free throws to make it 78-75. Bamberg kept CSKA from scoring at the other end and Melli’s tip-in pushed the lead to 5 with less than five minutes to play, prompting a CSKA time out. De Colo’s 2 free throws snapped a two-minute scoreless drought and the visitors got within 82-81 after a driving layup from Jackson and 2 Hines free throws. Spurred on by its Freak City crowd, Melli hit a fall-away jumper to increase the lead to 84-81 with 1:24 left. After a CSKA time out, De Colo got a fall-away jumper to drop over Theis to make it a 1-point game again. But Melli and Wanamaker sandwiched free throws each around a De Colo missed three-pointer for an 88-83 advantage with 25 seconds to play. And Theis added 1 more free throw with 19 seconds after Vitaly Fridzon missed from long range to secure the win. And just like against Khimki, Wanamaker finished the win off with an exclamation point dunk. "I don’t remember the record between Bamberg and CSKA, but at least I don’t see the zero in front any more. It was a special, special night. I have special people in our locker room. Aleksej Nikolic in the starting five against Nando De Colo; I knew he would be good and our players knew he would be good too. Keep this game clear in your mind for a long time. I don’t know when we can give this again. 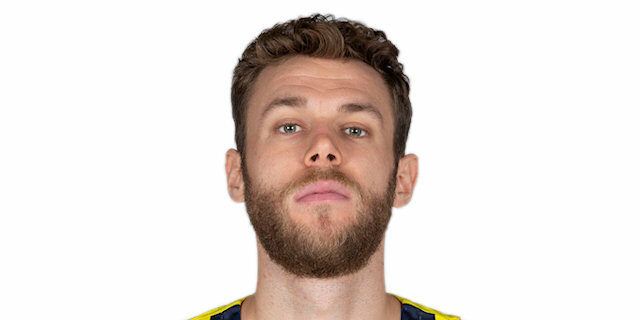 We just beat the best team in the Euroleague, which wants to win the Euroleague. Everybody was ready to play and give something. 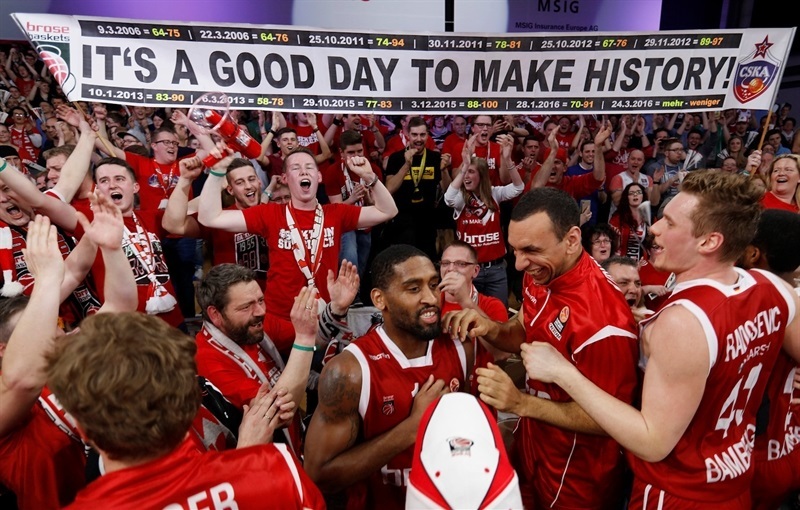 This is a historical win for Bamberg. I cannot say much more. We didn’t want to go home with regrets that we didn’t try. We had a dream and we worked on that dream to beat the best team in Europe. We are in the corner with all the big teams in Europe throwing stones at us and we are still alive. This is a journey and we are still enjoying the journey." "Congrats to Brose, they won, they were better today regarding better preparation for the game, more aggressive at both ends. They managed to push us out of the paint. We were not able to create things. We changed that, but it was not enough. Everything in the competitive group is still in our hands." "It was a very tough game for us. We knew it. CSKA is probably the best team in Europe. They beat us three times. It wasn’t easy, but we made it another night, a special night in Bamberg. We are very proud of this. One step at a time, we will see what happens. " "They were physical against us. We have to give all the credit to Bamberg. They put their bodies on us. They took advantage of us not being ready for their physicalness."